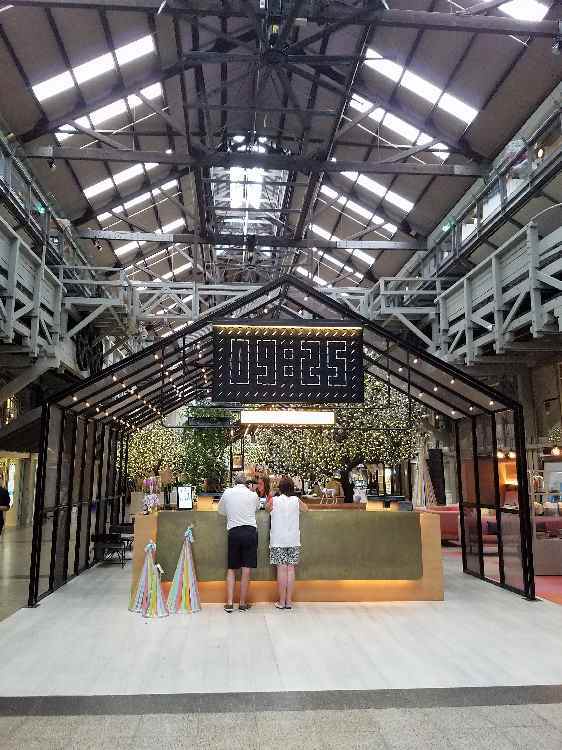 Our hotel, the Ovolo at Wooloomooloo is one of the top hotels in Sydney, located in a former warehouse in the Wooloomooloo district. 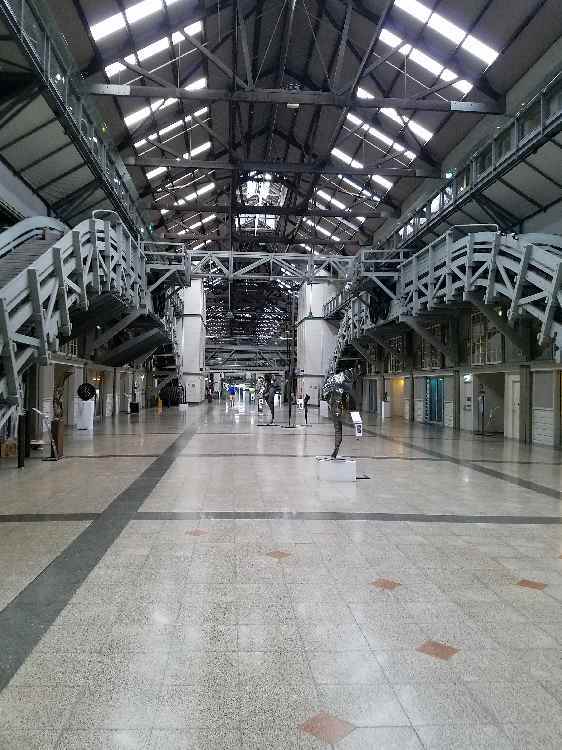 The building itself is on the Australian Historic Register because of its storied heritage. In addition to the hotel rooms, there are also apartments in the building, one of which is owned by Russell Crowe, but he did not invite us to dinner last night. We checked out of the hotel just after 11:00am and our driver met us at about 11:25am. 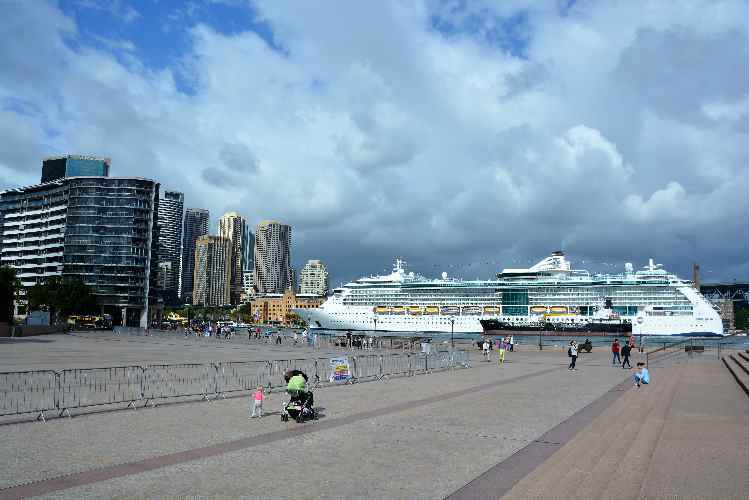 It was about a 20 minute drive to the modern cruise terminal and we check in and boarded in a total of about 15 minutes. About as smooth as you could get. 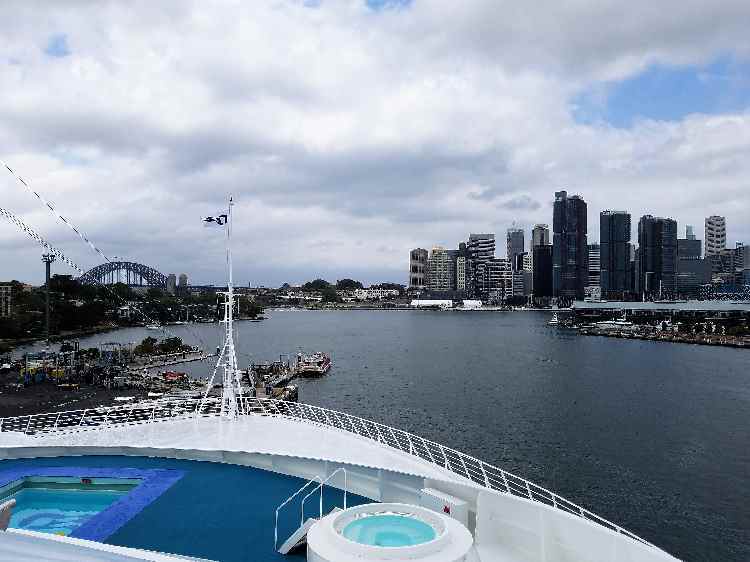 After the standard muster drill we got underway for one of the great cruise departures in the world. 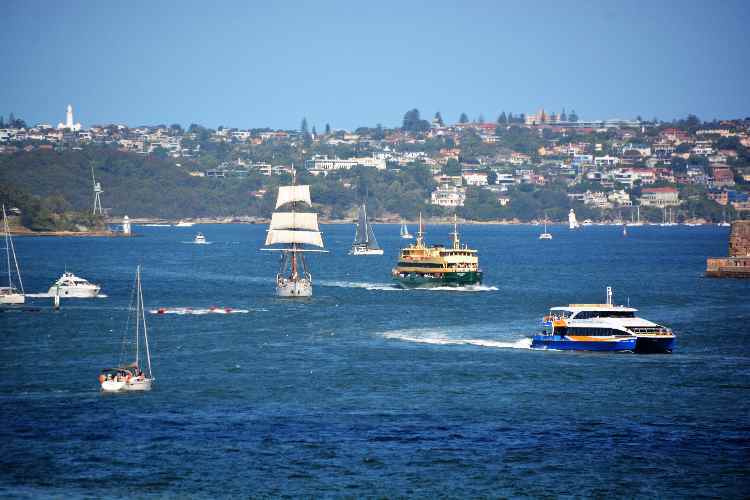 We commented that it rivaled getting underway from Stockholm, which was truly spectacular. 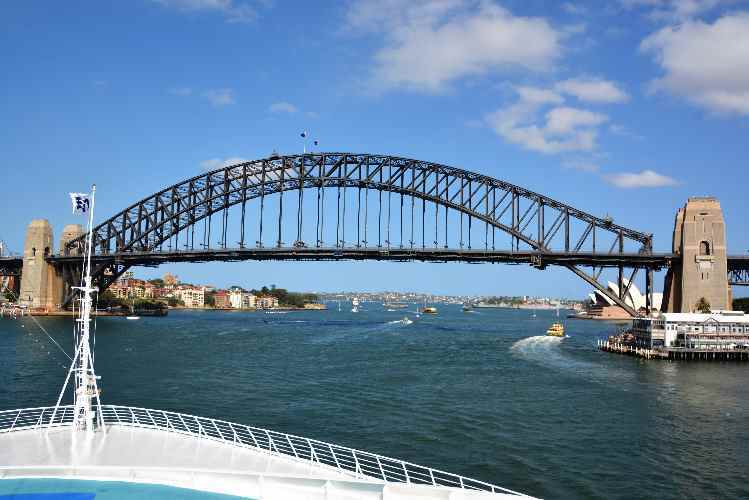 Of course the highlight was passing under the Sydney Harbour Bridge. 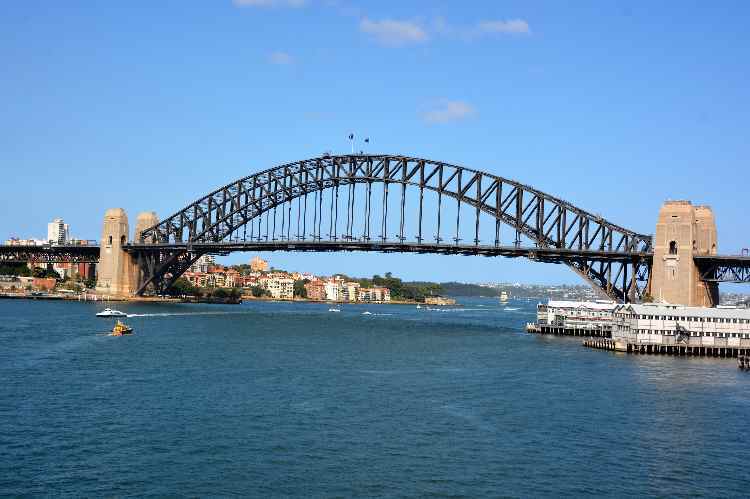 Under the direction of Dr John Bradfield of the NSW Department of Public Works, the bridge was designed and built by British firm Dorman Long and Co Ltd of Middlesbrough and opened in 1932. The bridge's design was influenced by the Hell Gate Bridge in New York City. It is the sixth longest spanning-arch bridge in the world and the tallest steel arch bridge, measuring 134 m (440 ft) from top to water level. It was also the world's widest long-span bridge, at 48.8 m (160 ft) wide, until construction of the new Port Mann Bridge in Vancouver was completed in 2012. 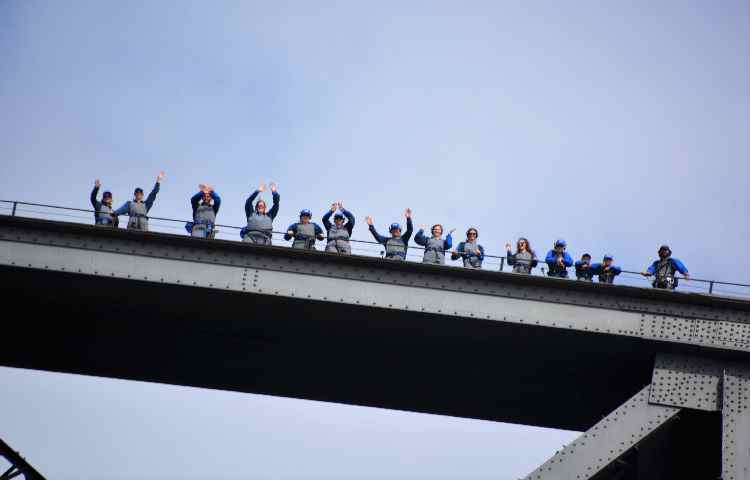 It was fun to see the folks on top of the bridge. 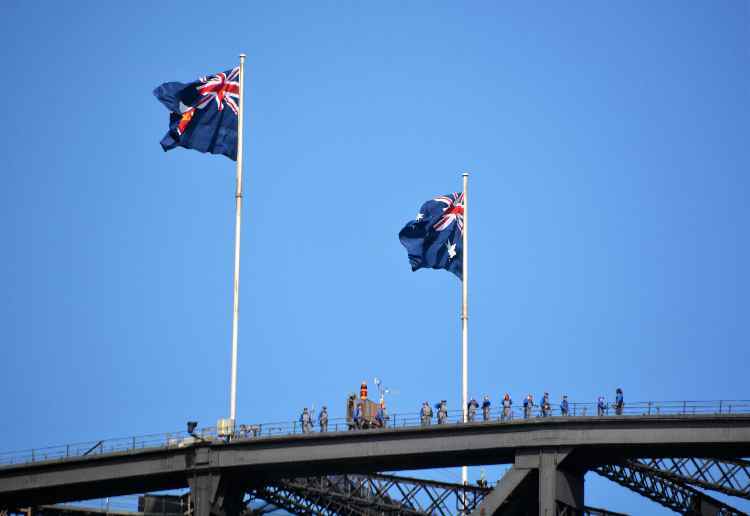 One of the more popular Sydney attractions is taking a tour to the top of the bridge! The next two days are at sea, before arriving at Fjordland in New Zealand. We also move our clocks ahead two hours over the next two nights. 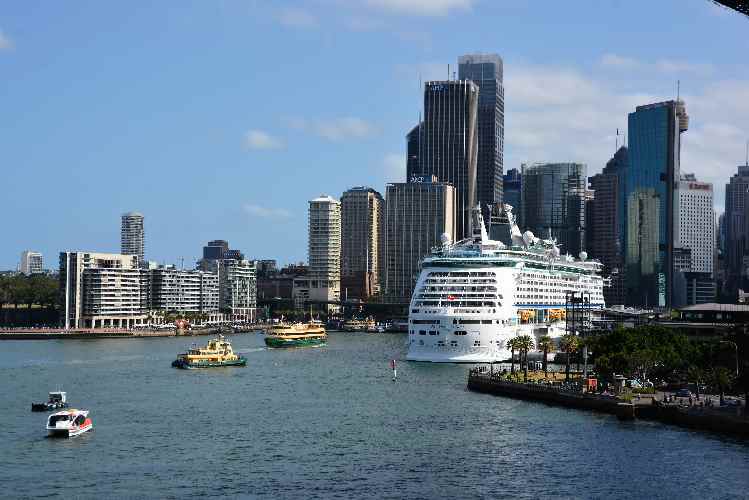 Our adventure for January is a cruise from Sydney Australia to Auckland New Zealand aboard Princess. I have been to Australia several times but have never been to the land of the "All Blacks". I flew to San Francisco on New Years Eve to meet up with my cruise buddy who was visiting his daughter in Oakland. After a quiet day watching football, we boarded a Qantas flight for the 13.5 hour trip to Sydney. Their business class service was excellent, and we landed at 6:30 in the morning on January 3rd. Skipped January 2nd this year because of the Date Line. 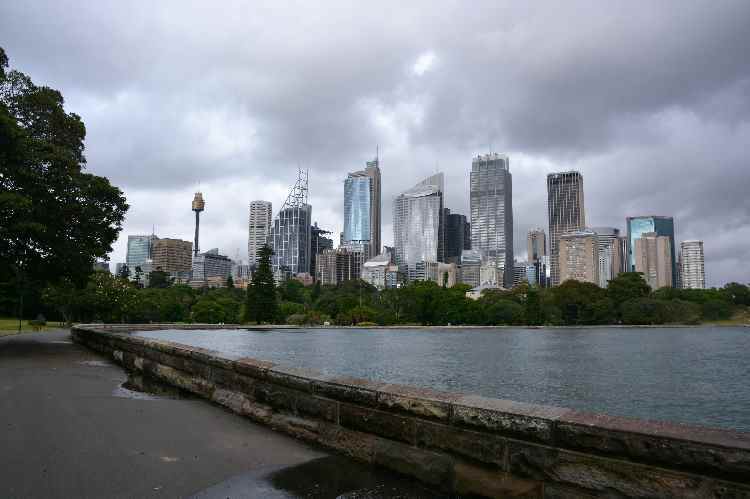 Our driver was waiting for us and we headed to our hotel in the Wooloomooloo district of Sydney, on the water and next to the Botanical Gardens. 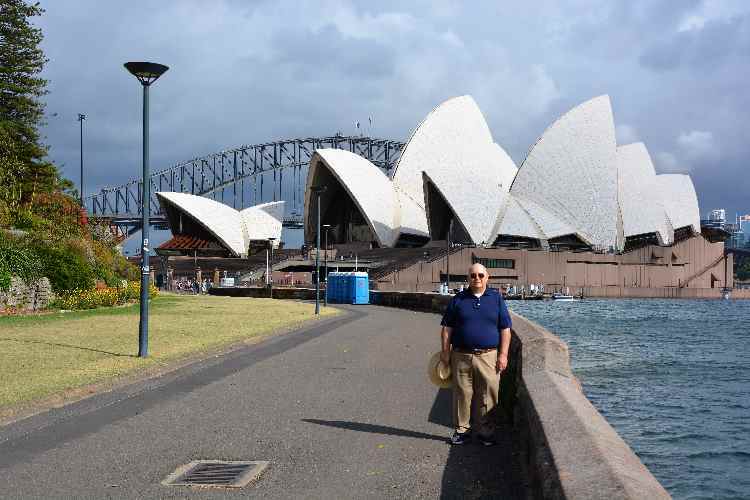 Since our room was not ready, we decided to take a stroll over to the Sydney Opera House through the Gardens. It was a great way to stretch a little! The Sydney Opera House is a multi-venue performing arts centre. 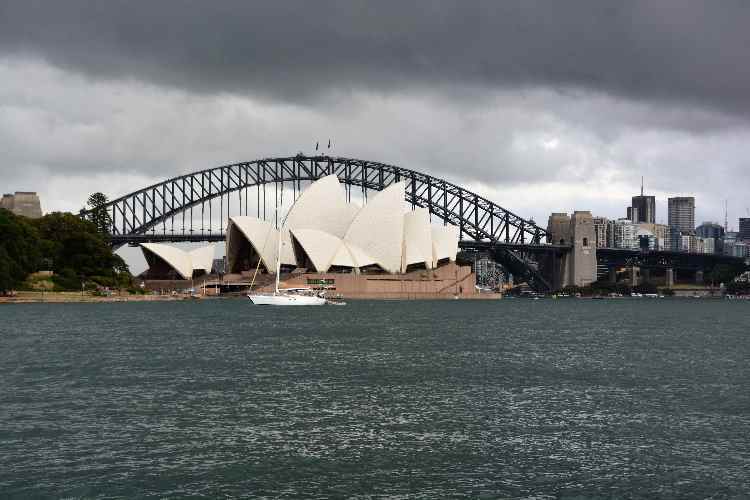 Designed by Danish architect Jørn Utzon, the building was formally opened on 20 October 1973 after a gestation beginning with Utzon's 1957 selection as winner of an international design competition. The government of New South Wales, led by the premier, Joseph Cahill, authorised work to begin in 1958 with Utzon directing construction. 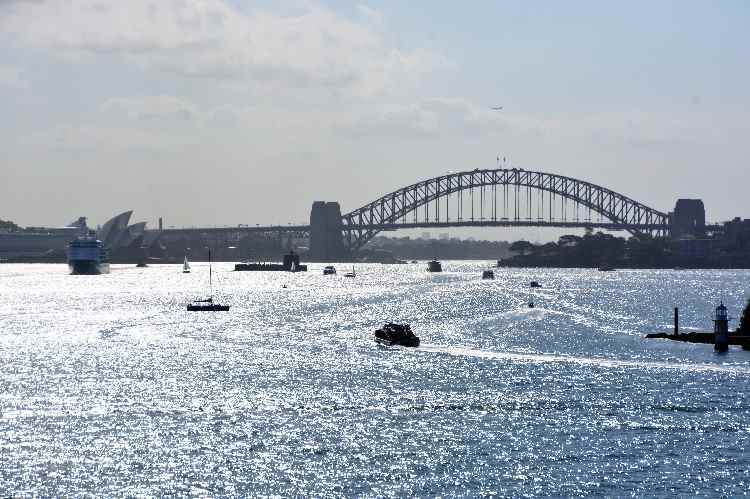 The government's decision to build Utzon's design is often overshadowed by circumstances that followed, including cost and scheduling overruns as well as the architect's ultimate resignation. 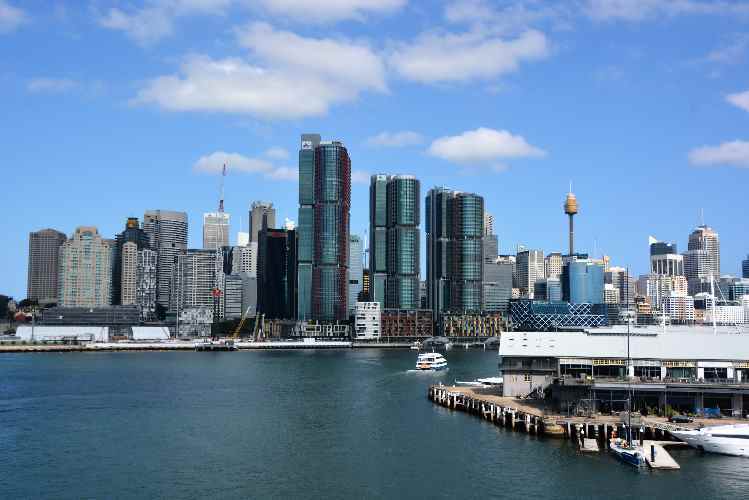 The building and its surrounds occupy the whole of Bennelong Point on Sydney Harbour, between Sydney Cove and Farm Cove, adjacent to the Sydney central business district and the Royal Botanic Gardens, and close by the Sydney Harbour Bridge. Though its name suggests a single venue, the building comprises multiple performance venues which together host well over 1,500 performances annually, attended by more than 1.2 million people. Performances are presented by numerous performing artists, including three resident companies: Opera Australia, the Sydney Theatre Company and the Sydney Symphony Orchestra. 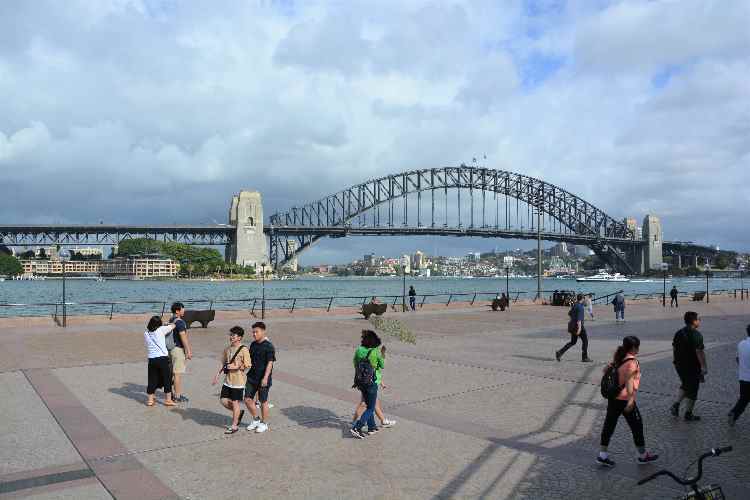 As one of the most popular visitor attractions in Australia, more than eight million people visit the site annually, and approximately 350,000 visitors take a guided tour of the building each year. The building is managed by the Sydney Opera House Trust, an agency of the New South Wales State Government. 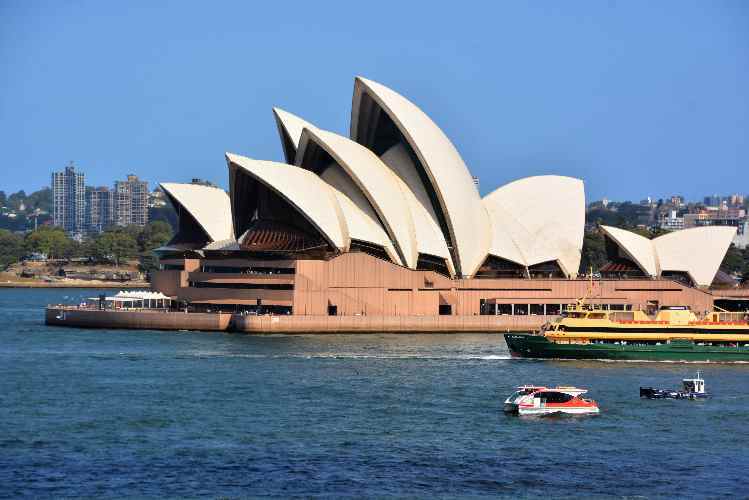 On 28 June 2007, the Sydney Opera House became a UNESCO World Heritage Site. The first farm by European settlers on the Australian continent, at Farm Cove, was established in 1788 by Governor Phillip. Although that farm failed, the land has been in constant cultivation since that time, as ways were found to make the relatively infertile soils more productive. 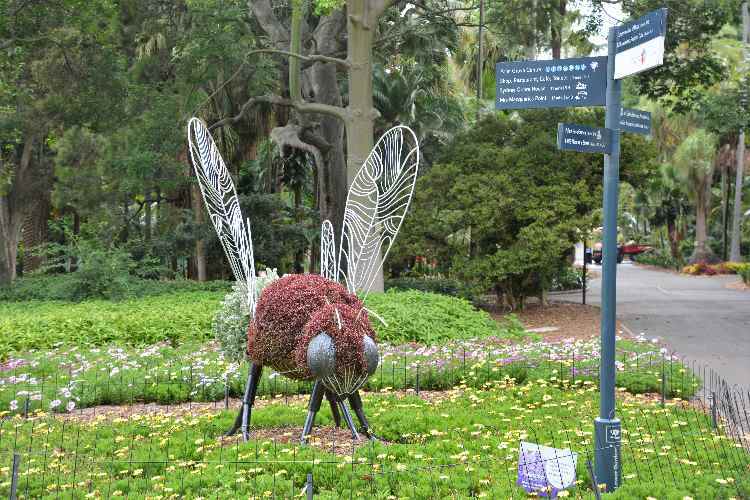 The Botanic Gardens were founded on this site by Governor Macquarie in 1816 as part of the Governor's Domain. 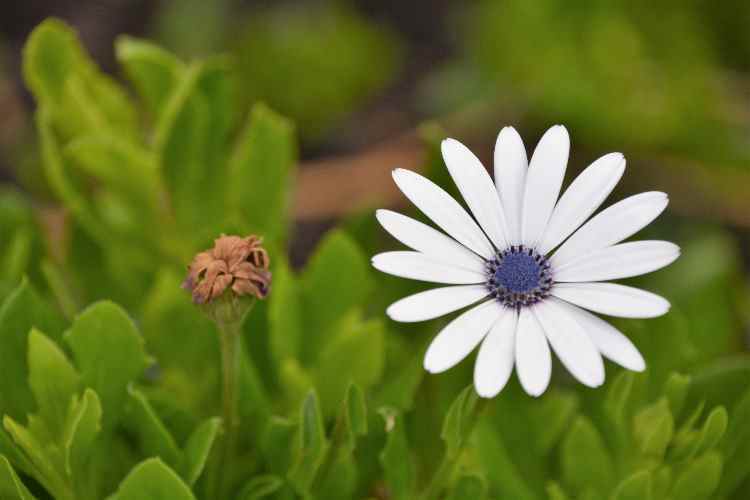 Australia's long history of collection and study of plants began with the appointment of the first Colonial Botanist, Charles Fraser, in 1817. 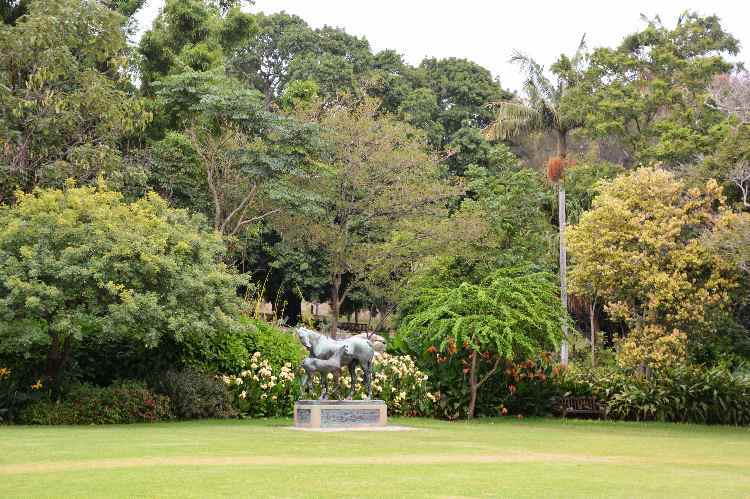 The Botanic Gardens is thus the oldest scientific institution in Australia and, from the earliest days, has played a major role in the acclimatisation of plants from other regions. After a succession of colonial botanists and superintendents, including the brothers Richard and Allan Cunningham, both also early explorers, John Carne Bidwill was appointed as the first Director in 1847. 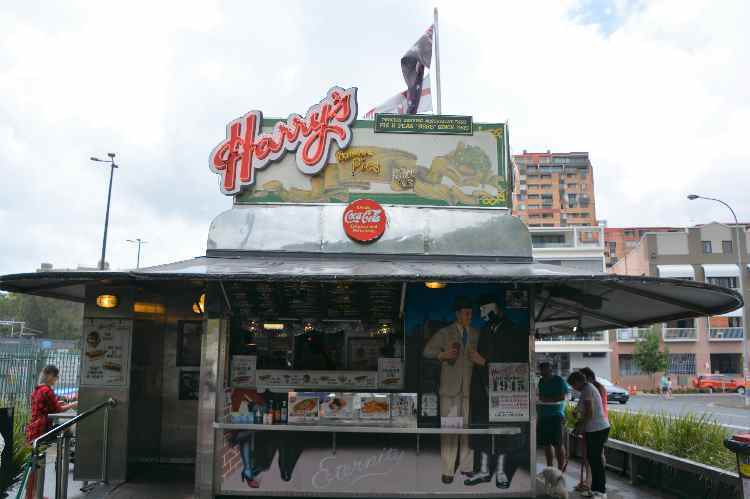 Our driver on the way into the hotel suggested we get a hot dog at Harry's Famous Pies - it would make Coney Island jealous!